Welcome to Episode 1 of Nixon vs. Kennedy. We’re a Minneapolis based sketch comedy podcast group of some really attractive people. In this episode we look for our country’s armed forces, make out a lot, and realize that we’re badly injured. Mike Trost is a human male with hair of gold. His smile stuns birds out of the sky and his wit induces paralysis. The only thing he can’t do? Nothing. He is perfect and untouchable. Damian Johnson once walked into a bank said no words and they handed him a bag of cash. He didn’t intend to rob the place, but he didn’t give the money back either. If you ask him about it he gets real shifty. He also collects buffalo nickels. Becky Wilkinson Hauser has three names so she’s basically a God. She flies to work on a California condor named Kevin. Kevin said that the reason he didn’t vote in the last election was because he didn’t register but it’s really because he was playing Grand Theft Auto and forgot. Lauren Schwein walks a fine line between adorable and curiously deviant. She’s on the board of directors of 6 different Fortune 500 companies because no one is brave enough to tell her that she doesn’t belong there. She ate a wasp once for sport. Gordy Toler moved to California without our consent. He is dead to us. 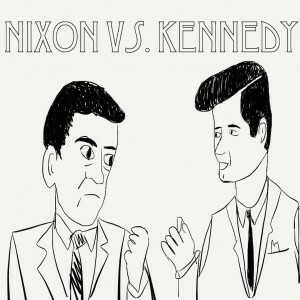 Nathanael Lew edits all of the Nixon vs Kennedy podcasts. He is eight feet tall and participates in Civil War reenactments where he plays a really bored guy from the future.